Effipro DUO spot on is a long lasting protection from flea and tick infestation. 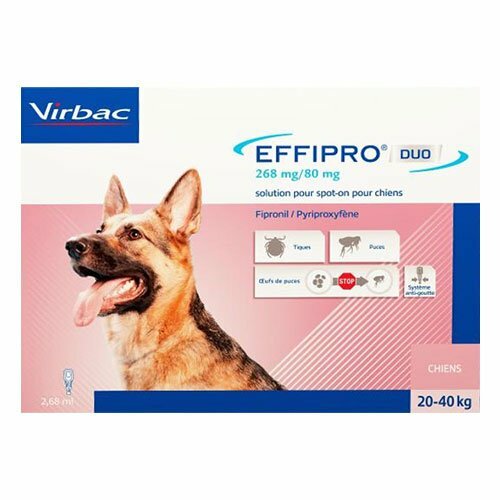 From the house of Virbac, the spot-on kills fleas, ticks and restricts the growth of flea eggs to adult fleas. 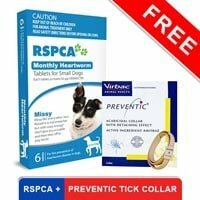 The clinically proven solution easily spreads through the coat and provides one-month protection against fleas and ticks. 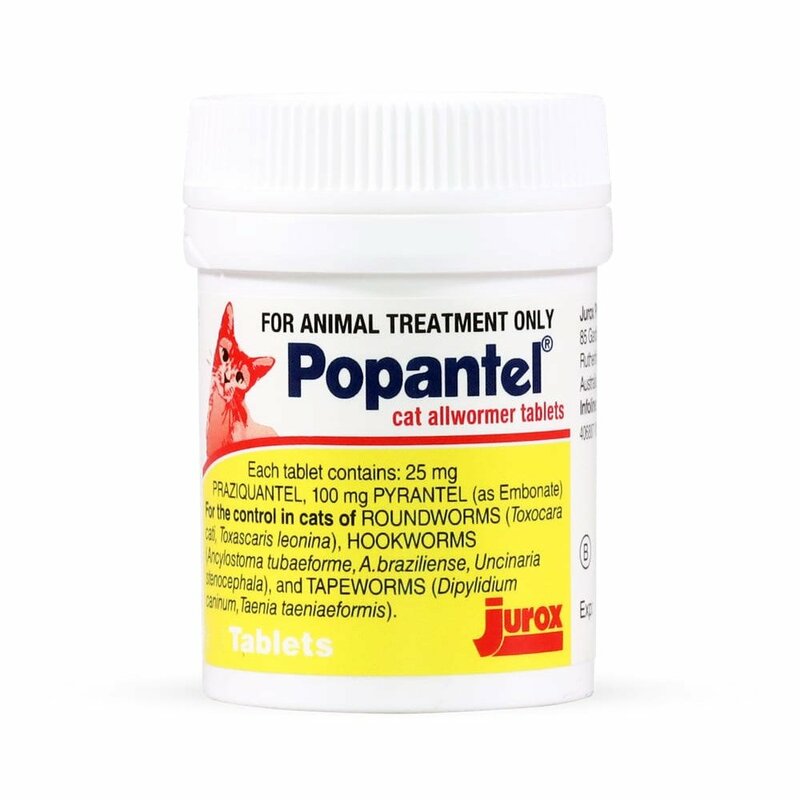 The monthly topical treatment contains two powerful ingredients – fipronil and pyriproxyfen. The insect growth regulator and adulticide cover both fleas and flea other stages. The potent combination fight against infestation and prevents further infestation. 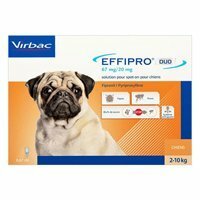 Effipro DUO for dogs supports complete flea management strategy. 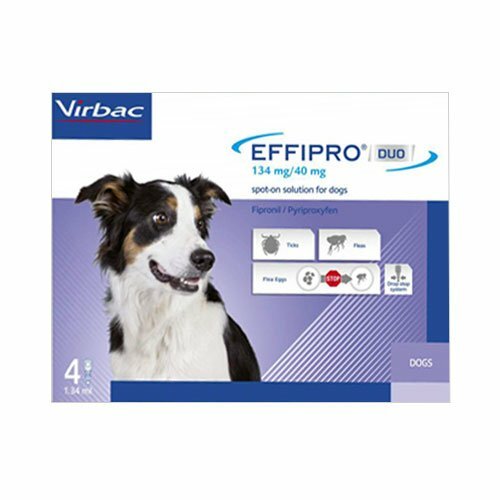 Effipro DUO spot-on for dogs is a long lasting protection from fleas and ticks. The spot-on solution destroys adult fleas, ticks and flea eggs. 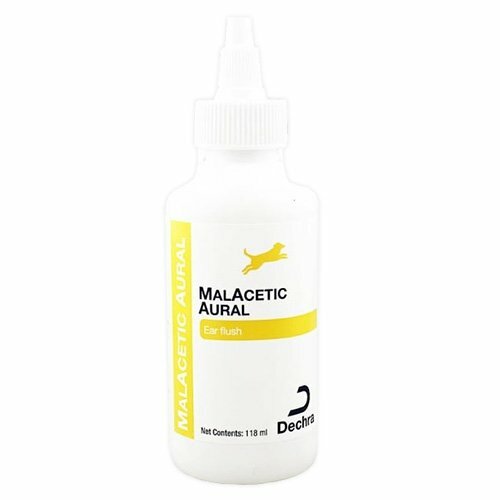 The topical treatment prevents flea and tick infested diseases for one month. 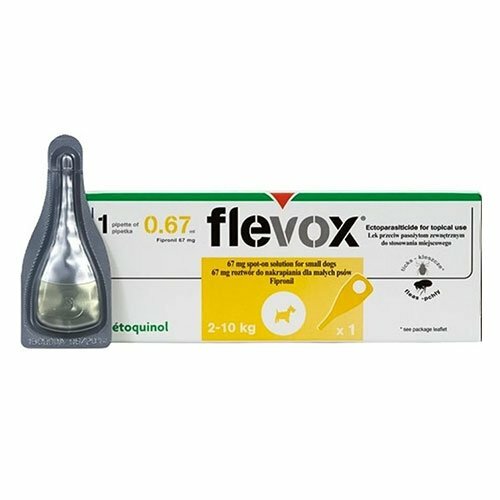 A single treatment provides 3-months of protection against flea life cycle completion and controls flea infestation. The potent solution starts working within 24 hours and eliminates most parasites within 48 hours. 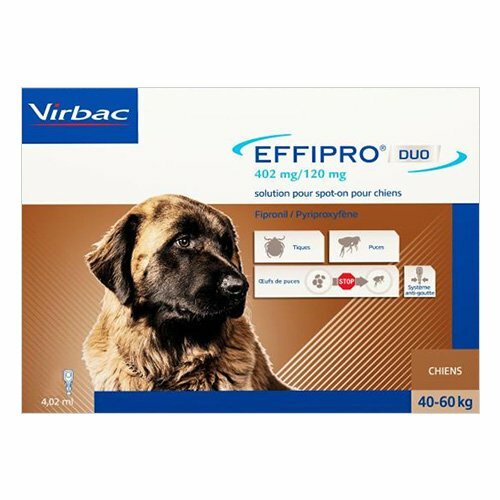 The insecticidal and acaricidal effect protect dogs for four weeks. Weigh your dog before starting the treatment. Remove the pipette from package and hold it upright to ready to apply. Break open the seal along the scored line. Part the fur on the back of the neck until the skin is visible. Place the tip of the pipette on the skin and squeeze firmly several times to empty the entire content at the visible spot. For larger dogs, apply at three to four places. Do not use in dogs known for hypersensitivity to active substances. Store it below room temperature. Protect it from direct sunglight. Do not allow children to access it. Seek medical advice in case of accidental ingestion. The service provided by this website is commendable and my spot-on arrived in 10 days and was in perfect condition. Thanks budgetpetcare. 7 of 13 found this review helpful. 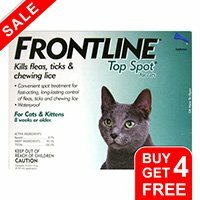 It was an excellent topical solution that I ordered for my furry Kylie. I must say it really destroyed all the fleas that were seen troubling my pet within 24 hours and also it had a long term protection from flea re-infestations.. Glad to have ordered it..
164 of 192 found this review helpful.